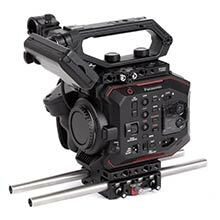 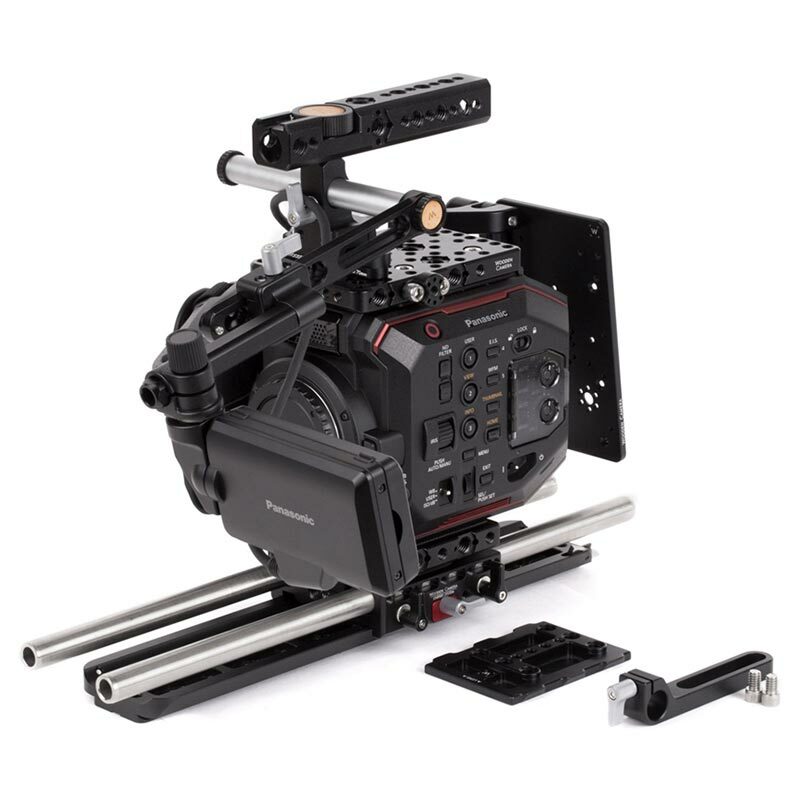 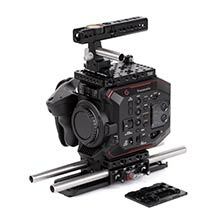 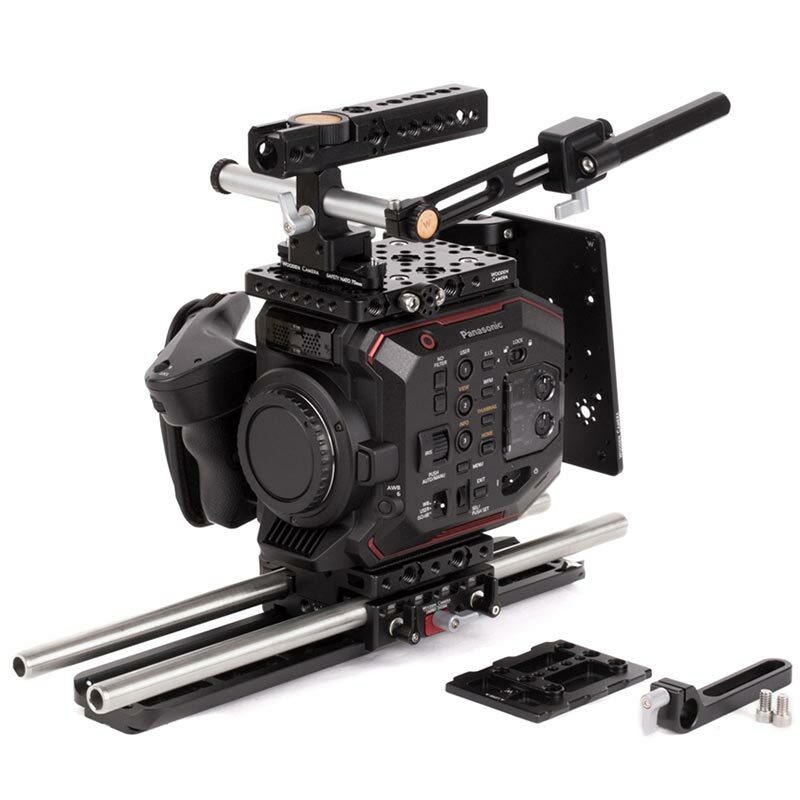 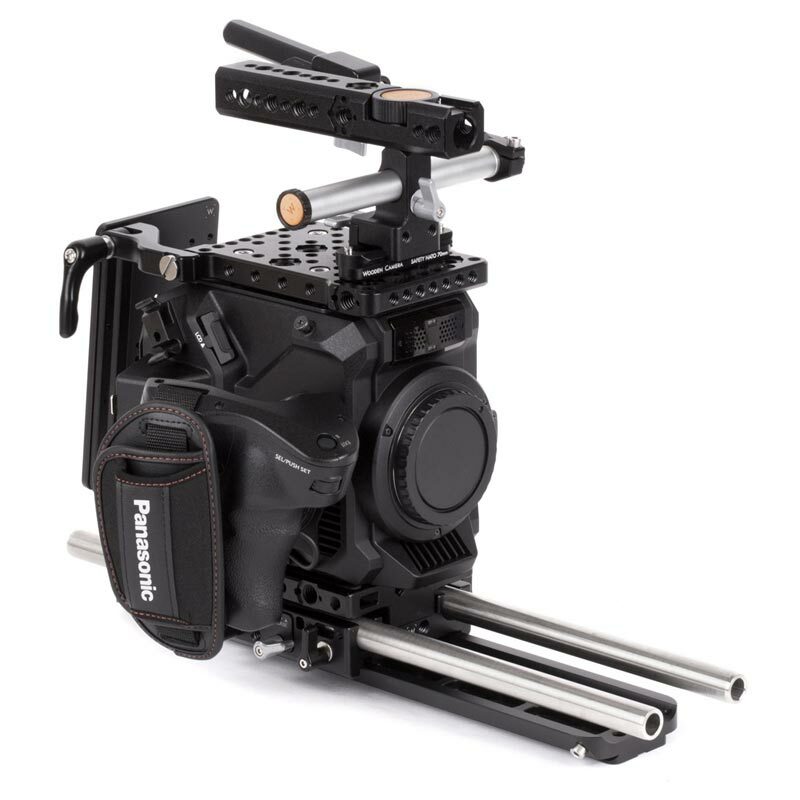 The Panasonic EVA-1 Accessory Kit (Pro) is a professional camera support package designed for the Panasonic EVA-1 camera and utilizes Wooden Camera's new Unified Baseplate System. 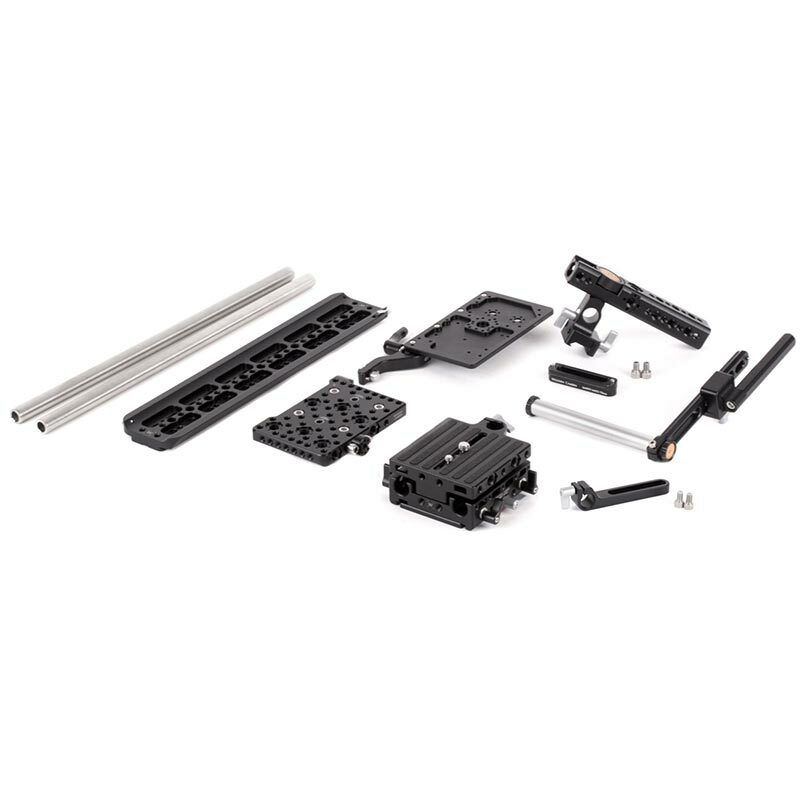 The EVA-1 accessory package includes: Top Plate (Panasonic EVA-1), a top mounting camera cheeseplate for accessory attachment which also includes an LCD bracket attachment piece, Unified Baseplate (Panasonic EVA-1), a quick release, camera baseplate for holding the two 15mm Rod (15") at the correct lens height, the Battery Slide (Panasonic EVA-1), an adjustable battery mounting plate for use with Gold Mount or V-Mount battery plates (not included), the UVF Mount (Panasonic EVA-1) for attaching the original LCD screen, and the NATO Handle Kit (Plus, 70mm), a quick release, fully rotatable handle with 1/4-20 and 3/8-16 threaded holes throughout. 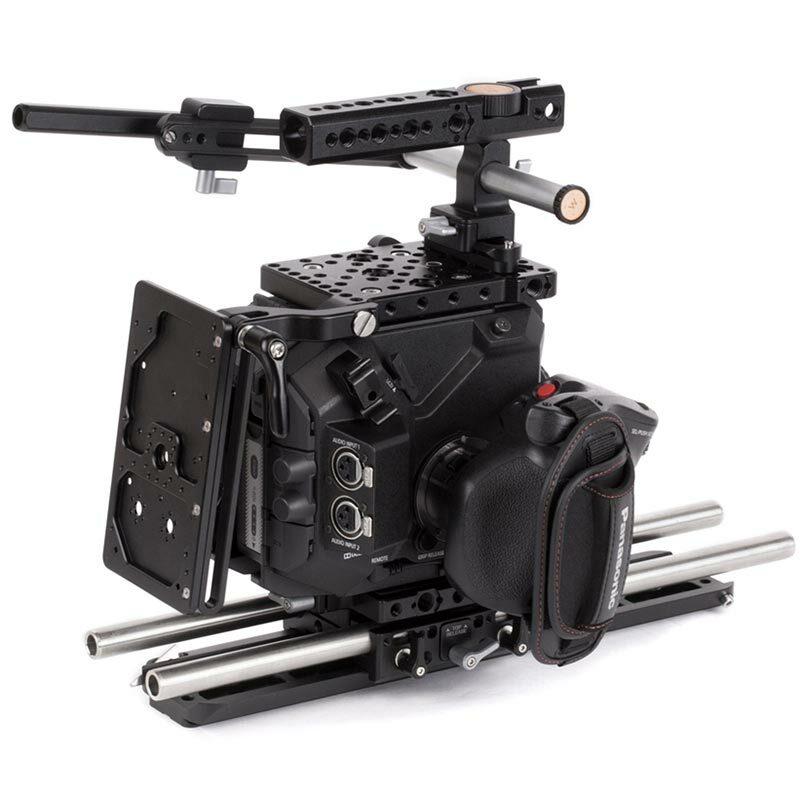 The Unified Baseplate includes an ARRI dovetail slot on the bottom which attaches to the the included Safety Dovetail (12”).